Jim Carpenter, founder of Wild Birds Unlimited joins Scott and David Menough to talk about his book, The Joy Of Bird Feeding. The book is filled with useful information and illustrated with more than 800 images and 180 maps, The Joy of Bird Feeding is the essential guide for anyone who loves to feed the birds. 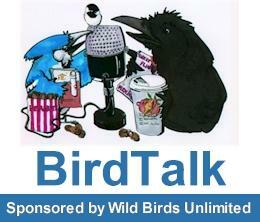 Click here to listen to the interview and to learn more about The Joy of Bird Feeding. Scott Menough owns the WBU store in Denver, CO while David owns the Arvada, CO store. The brothers host the weekly BirdTalk radio show.